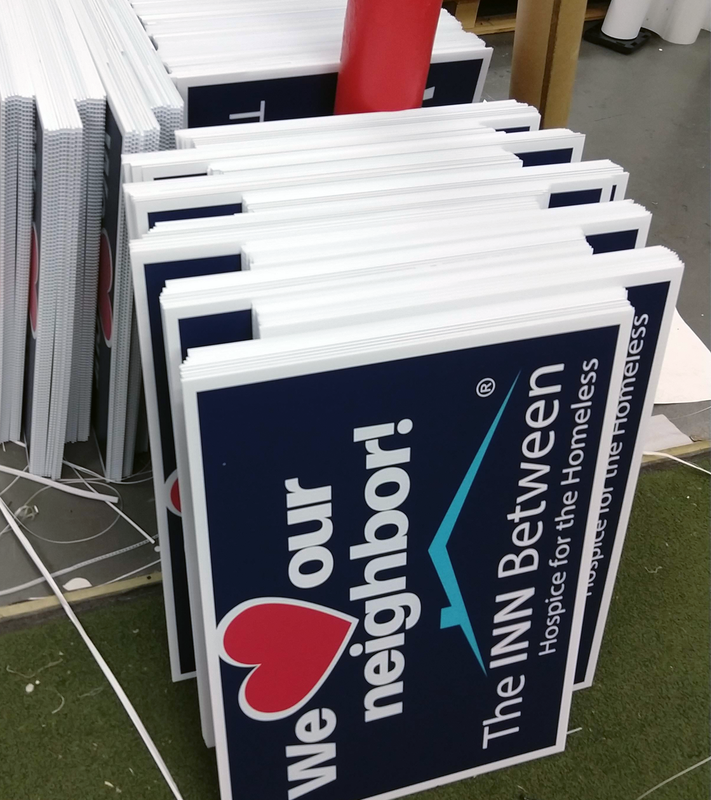 Corex signs are what we use for the A-frame inserts and what is used for outdoor yard signs with metal stakes. The normal outdoor signs are 24"x18" and are what you usually see during political season. We offer sizes from 12"x18" up to 96"x48". They are one of the most poplular sign materials because they stand up to the weather and are affordable. Styrene is a durable flexible plastic that is great for indoor or outdoor signage for pop displays and events. Comes in a variety of thicknesses. Sintra is a rigid material that is also good for indoor or outdoor advertising. Usually used for sign holder inserts. Many only know about foamboard, which easily damaged and tends to bow and warp and has a weak paper shell, gatorboard is like the tonka version it has more of a dense stronger foam inner body and a styrene like outer shell. It comes in 3/16th and 1/2 inch thickness. I-bond is like e-panel or di-bond but a more affordable price. Its 2 alluminum sheets that sandwich a low density polyethylene plastic core. Used for indoor or outdoor signage. Thickness ranging from .040 mil to .063 mil and sizes from 24"x9", 12"x18", 18"x24" or 24"x36" used typically for parking reserved, handicap and permit only signs, real estate signs and rider signs to regulation and rules signs.